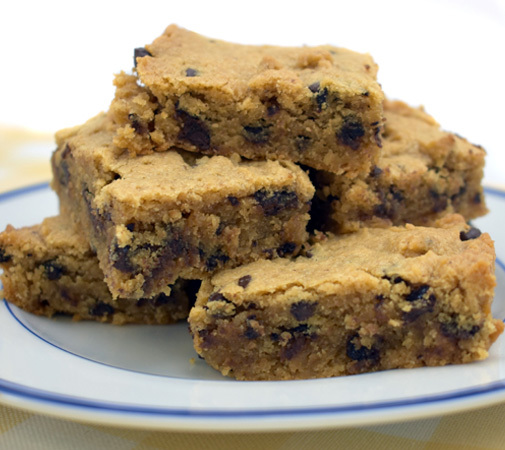 Chocolate Chip Peanut Butter Cookie Bars are an exciting tasty alternative to traditional brownies! These moist and rich bars aren’t just gluten free; they’re guilty free! Made with Bosquet Gluten-Free Chocolate Chip Cookie Mix.